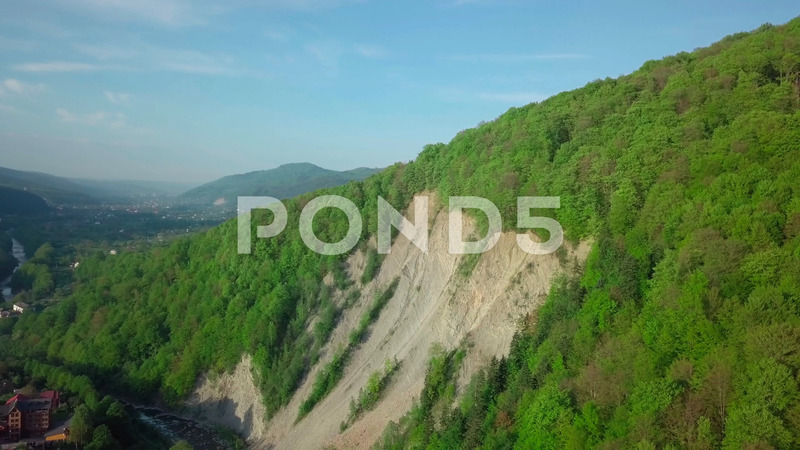 Description: The landslide on the river. Aerial Drone Footage View: Flight over spring mountain village with forest in sunrise soft light. Alps, Switzerland, Europe. Majestic landscape. Beauty. concept of pure nature, natural food, lack of chemicals.